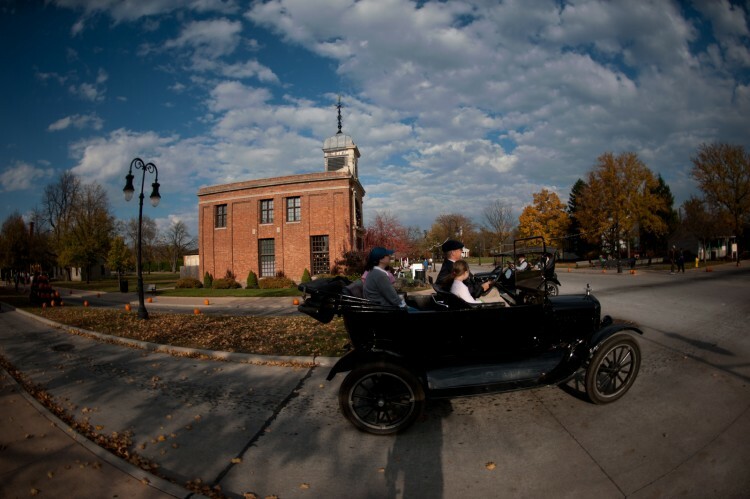 With fall in the air and lacking something new to post I thought I would post this shot I took last year at Greenfield Village in Dearborn, Michigan. 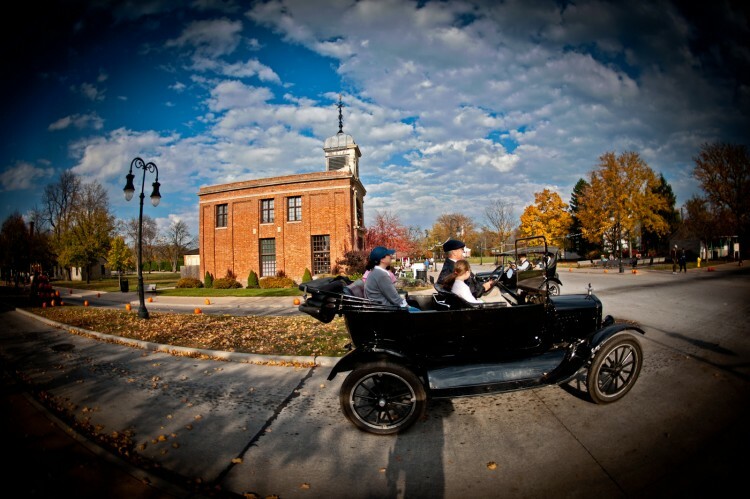 Greenfield Village was created by Henry Ford, so it’s not surprising that the Model T and other old Ford automobiles should be prominently displayed. The museum offers rides in some of the older cars. This visit occurred in mid November on a wonderful Indian summer day. It was getting later in the day and the streets of the village were becoming empty. The less crowded village streets became a nice background to the old Ford automobiles that were still tooling around the village that day. Processing the image was fairly straight-forward. I wanted to emphasize the car and add a bit of vintage feeling to the shot so I added a fairly strong vignette. I also liked the way the vignette worked with curvature of the image created by the fisheye lens. I used the Shadow/Highlight layer in Photoshop to bring back some details in the sky. The rest of the changes were done in Lightroom and involved mostly adjusting the blacks and adding a bit of fill light in spots. Please feel free to leave comments and feedback below. I like what you did with the vignette. I agree that the vignette works perfectly with the curvature from the fisheye lens. I also think that you choice of lens and the vignette are perfect for the effect of a early 20th century print, so appropriate for this subject. That vignette looks awesome with this shot. Almost like a glimpse in to a dream. Oh man, how cool would it be to own one of those!! Great post!! Journey Photographic recently posted…Washington and Vietnam Memorials, Washington D.C.
I’m going to go against the grain here and say the vignette is a bit too strong. No problem with how deep it comes in, just would like it to feather more so I can still see through it. Fun image though!